Tax Applicable on Pension and Family Pension – (FAQ) Frequently asked Questions. Pension is a retirement benefit that an employee gets post-retirement. In many cases this retirement benefit is also passed on to the dependent family members, after death of the employee. In such cases, it is called family pension. Here are the tax rules applicable to pension and family pension. Pension received by a retired individual is considered as salary and taxed as, ‘income from salary’. However, pension can be of two types—‘commuted’ and ‘uncommuted’. Upon retirement, an employee can opt to take a certain percentage of the pension as lump sum. Such pension received, which is received in lump sum, is called commuted pension. For instance, if your monthly pension is Rs20,000 and you decide to take 10% of the next 10 years’ pension as lump sum, or commuted pension, then you would get a lump sum of Rs2.4 lakh (10% of Rs20,000 times 120 months). In this case, you will receive Rs18,000 as uncommuted pension every month for the first 10 years and after that Rs20,000 every month. If you are a government employee, commuted pension is fully exempt from tax. However, for a non-government employee, it is partially exempt. If you are entitled to receive gratuity along with pension, then 33.33% of the amount of pension—which would have been received if 100% of the pension was commuted—is exempt and the remaining is taxed. However, if you are not entitled to gratuity, then 50% of the amount of pension, which would have been received if 100% of the pension was commuted, is exempt. Pension received by dependent family member of the retired individual is known as family pension and it is considered as, ‘income from other sources’. Dependent family members include: spouse, children below the age of 25 years, unmarried daughter and dependent parents in certain cases. Commuted pension received by family members is exempt from tax. However, in case of uncommuted pension received by family members, a sum equal to 33.33% of such income or Rs.15,000, whichever is less, is exempted from tax. So, if a widow receives a pension of Rs.20,000 a month or Rs.2.4 lakh a year, she can claim exemption of Rs15,000, which is lower of Rs.80,000 (33.33% of Rs 2.4 lakh) or Rs.15,000. The remaining amount of Rs2.25 lakh (Rs2.4 lakh minus Rs15,000) becomes taxable, and gets taxed according to the tax slab applicable to her. In some other cases, such as pension or family pension received by an employee (or family members) of the armed forces or organizations of the United Nations, the amount is totally exempt from tax. 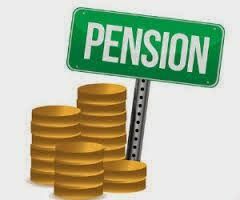 If pension is received through a nationalized bank, TDS provisions are applicable as is the case with salary income. However, TDS is not deducted on family pension as it does not come under the ambit of section 192 of the income tax act.